Season 4 for "Fortnite Battle Royale" is out, and the latest patch brought more than just the new Battle Pass. 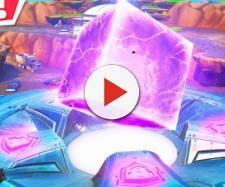 Epic Games has done a fantastic job hyping "Fortnite Battle Royale" player base for Season 4 of the popular video game. Season 3 concluded yesterday and the game developer released the fourth season on May 1, making some huge changes to the game. While many players are incredibly excited about the new Battle Pass, there are many more changes the latest patch brought to the game. Season 4 Battle Pass brings seven new skins and numerous other cosmetic items. The update also changed the in-game map, adding several craters, new chests, ammo boxes, and more. 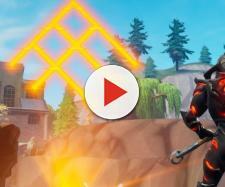 Epic Games also made sure to fix some bugs and make a few gameplay changes with the new season. Patch v4.0 notes were released after the server downtime, which is the reason why many players haven't read them yet. The latest patch brought a big hitbox change, allowing players to hit headshots more consistently. Other body parts will no longer block incoming headshots, causing players to deal much more damage than usual. For example, if you aim at an enemy's head and their hand blocks the shot, it will be able to penetrate through the hand and will deal a headshot damage. Nearly every weapon was affected by this change, except for a Rocket Launcher and a Grenade Launcher. Additionally, players' hands now have a slightly smaller hitbox. Players will now be able to see damage numbers while spectating another player and fall distance is now shown in the kill feed after a player eliminates or knocks out an enemy with a fall. Starting area got some big changes too, as players are now able to destroy most of the structures there. In addition, players and player-made structures can now be seen about three times further away than before. Patch v4.0 fixed most of the issues with player buildings as some of them would not be destructible or they would allow players to phase through them. Also, swinging the pickaxe will no longer cause movement stuttering. When it comes to weapons, the bug that caused guns to be empty immediately after being picked up has been fixed. Also, players will no longer be able to quickly throw grenades while sprinting and Clingers will properly stick to supply drops. Players can now have the game select a random cosmetic item for every single match. 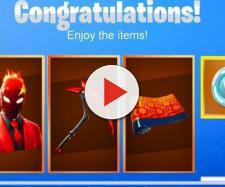 This can be set for every cosmetic item type, including skins, pickaxes, and loading screens. Additionally, players are no longer limited to only six slots for emotes as they can use any emote they have. Beside emotes and emoticons, players can now use sprays and leave their mark in the in-game world!